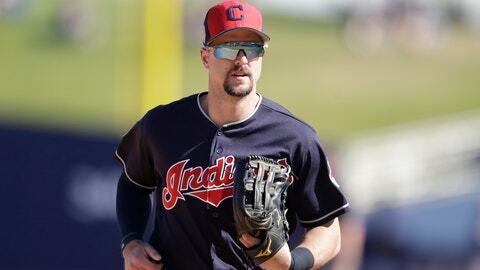 PITTSBURGH (AP) — Outfielder Lonnie Chisenhall has agreed to a $2.75 million, one-year contract with the Pittsburgh Pirates, leaving the Cleveland Indians after eight seasons. The Pirates are in need of help in the outfield while right fielder Gregory Polanco recovers from surgery on his left shoulder. Polanco is expected to be out until May after dislocating the shoulder during an awkward slide into second base in September. The Pirates initially selected Chisenhall in the 11th round of the 2006 first-year player draft. He opted not to sign and was later selected by Cleveland in the 2008 draft. The 30-year-old can earn an additional $3 million in performance bonuses for plate appearances under the deal announced Tuesday: $250,000 each for 250, 300, 350 and 400, and $500,000 apiece for 450, 500, 550 and 600. Chisenhall hit .321 in 29 games and 84 at-bats during an injury-shortened 2018 season, when he earned $5,587,500. He didn’t play between April 7 and June 5 because of a strained right calf, and he played his last game on July 1, a day before he injured his left calf before a game against Kansas City. Chisenhall has a .268 average with 64 homers and 296 RBIs. He set career bests in 2014 when he hit 13 homers and had 59 RBIs. He can earn additional bonuses for finishing among the top three in MVP voting and winning a Gold Glove and the World Series and League Championship Series MVP. Right-hander Alex McRae was designated for assignment to open a roster spot. In addition, the Pirates said right-hander Chris Archer had a procedure Tuesday to repair a bilateral hernia. The team said the recovery time is approximately six weeks and Archer will be on or close to ready for the start of the season.